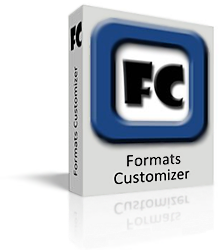 Formats Customizer is freeware utility for removing unwanted document types from application file dialogs. It is a simple, easy to use and comfortable program with an intuitively clear user interface. Operating System: Windows XP, Windows Vista, Windows 7. 32 bit version.